Anybody got any sun? – Trees & Flowers & Birds! 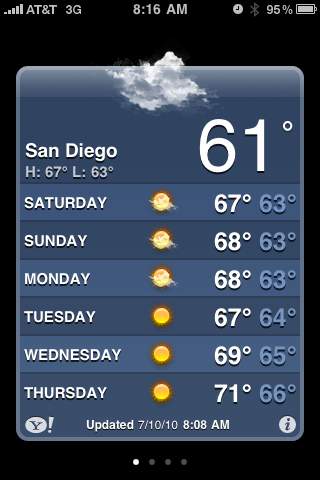 The joke around weather person circles for ages was that you could do a San Diego report in your sleep. It goes like this: “Night and morning low clouds & fog, clearing late morning, then sunny & warm with an ocean breeze. Highs on the coast in the low-mid 70s, inland in the upper 70s. Nighttime lows in the 60s.” Rinse. Repeat. Probably 70% of the year it seemed. Unfortunately, the last 2.5 months that late morning clearing does not happen. Those low clouds & fog are super thick, it even drizzles a ton, the temps rarely get above 65 during the day (and only go down to 60 at night) and there seems to be no end in sight. I took that picture at 7pm last night and this morning it is even ickier/wetter out there. The east coast is roasting – heck the whole rest of the country is roasting! Kitty corner from us up in Portland Maine they have had higher LOW temps than us for several weeks! In a place where they had snow drifts big enough to bury small children earlier this year! SportsBoy is over in Sweden. You know, a Nordic country. Where they ski and ice skate. And he’s had better weather the last two weeks! Potential full on sunshine in a few days! Still not terribly warm, but that’s fine. I just want to see blue skies & sunshine!! I mean – I bought 12 solar powered garden lights last weekend. 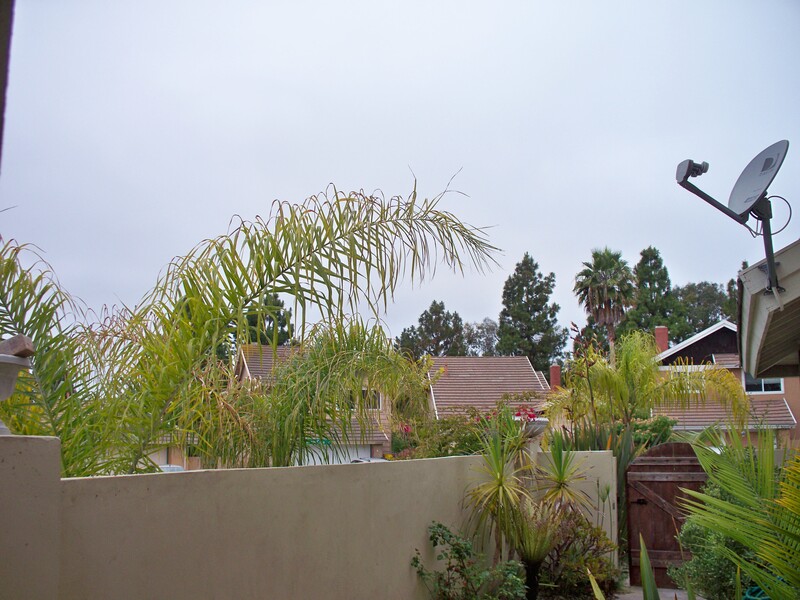 How sad would it be if here in what is supposed to be Sunny San Diego, they die out due to lack of power?? I know there’s a lot of us who live here who feel as if we are running out of power thanks to this ridiculous gloom.I sympathize with my mom friends with kids at home now who want to play outside. Pool time, beach time, – all a bust right now. I sit in a basement office all day with no windows – I count on those sunny skies to brighten my world at the end of the day! We are all walking around kind of mopey & foggy ourselves. My cats haven’t had a sun beam to nap in for weeks & I swear they are out of sorts too. On top of that, every few weeks things start to shake rattle & roll as the aftershocks from the Easter earthquake keep pounding the area. The latest one this week hit while I was in the car at a stop light. That was a first for me. Thought the car was either suddenly idling really rough or that someone was shaking it. Then I noticed the car in front of me was rocking side to side & that the light poles were bouncing. So not only are we all pasty & washed out from lack of sun, but we are also jittery and anxious from all the quakes. Mother Nature – could you please please pretty please give us a break here? A first! A book so bad I gave up.